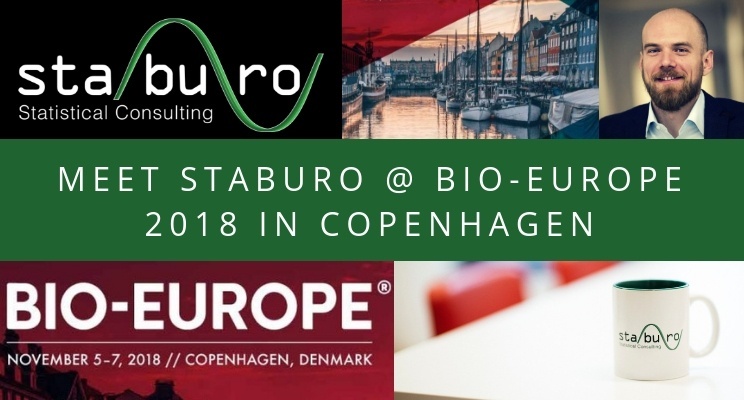 Meet us at the Staburo BIO-Europe 2018 booth in Copenhagen! 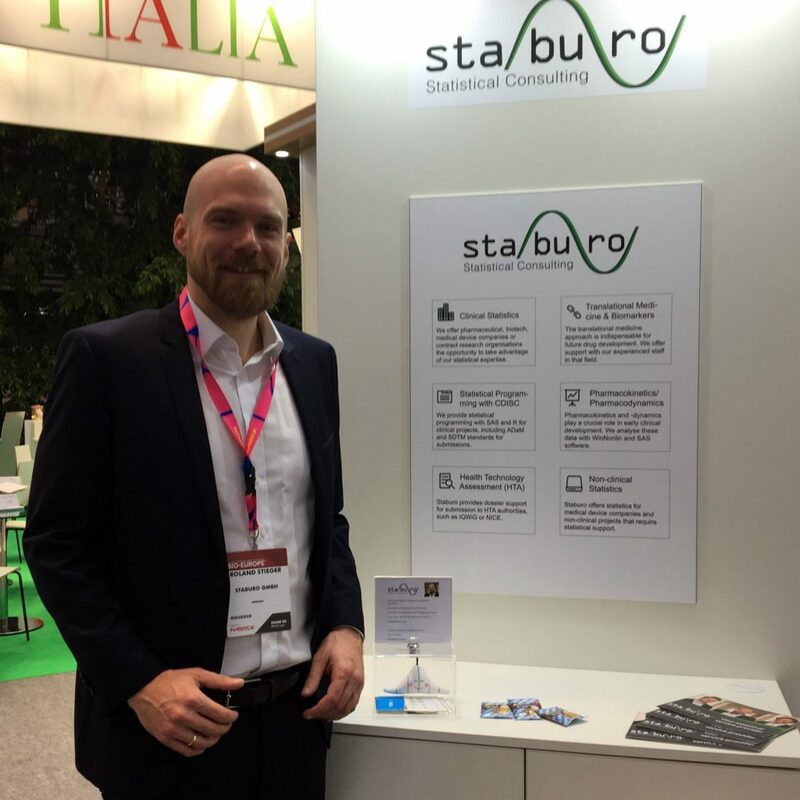 Staburo’s Managing Director Roland Stieger will join the BIO-Europe for the fourth time and will enjoy the good organization and networking opportunities of this partnering conference. For the first time, we will have our own booth at the bavarian pavilion. At our stand, you can approach Roland (if he is not at the partneringONE meetings) to talk about your current and future biostatistics challenges. If Roland is not there, please leave your card or a note and he will contact you. We thank you for all the great meetings and visits to our booth!